Soon, we'll be releasing a brand new expression and we’re marking the occasion with a whisky-inspired photography competition, with prizes honouring the very roots of our latest single malt. Our new addition is matured in some very special casks. And we wanted to show you what it takes to bring one of these exceptional casks home to Glenfiddich, all the way from the forests of Indiana, where the highly prized oak grows. To give you an unprecedented look at this incredible adventure, we sent award-winning photographer Simon Butterworth to capture the beauty of the landscapes and processes that have shaped our latest expression. Whisky writer Joel Harrison, of Cask Strength, accompanied Simon. Our two correspondents charted the journey of one of our very special casks, through exclusive images, film and stories. We’re celebrating the launch of our new single malt by giving away 26 stunning individual prints from the journey. They feature the signatures of Simon Butterworth and our Malt Master, Brain Kinsman. For your chance to win a signed print, upload a picture of a dram in your hometown to either Facebook, Twitter or Instagram using #HomeToGlenfiddich. Our latest expression has been created with the same care and attention that William Grant himself put into crafting our first whisky over 125 years ago. William was our first Malt Master and he appointed three of his sons, George, Charles and Alec, as our first Maltman, Mashman and Stillman. 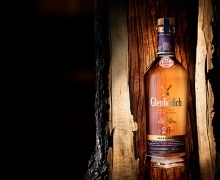 Together, they established the unique signature richness and character that Glenfiddich is known for today. Follow the journey and get closer to our single malt than ever before. What were we doing last night? Winning. 윌리엄 그랜트 & 선즈 주식회사 (William Grant & Sons Ltd.)는 스카치 위스키 협회 (SWA)의 회원업체입니다. * 지난 2000년부터 글렌피딕 위스키 제품은 세계에서 가장 권위 있는 선발대회인, 국제 와인 및 증류주 선발대회 (The International Wine & Spirit Competition)와 국제 주류 선발대회 (International Spirits Challenge)에서 싱글 몰트 스카치 위스키 부문 최다 수상의 영예를 얻었습니다. 귀하의 음주 가능 연령을 확인하고자 합니다. 귀하는 이 사이트를 방문하시는 것으로이용약관및개인 정보 보호, 쿠키 공지 에 동의하시게 됩니다.